CAIRO, July 04, 2013 (Zenit.org) – Patriarch of Alexandria of the Catholic Copts Ibrahim Isaac Sidrak expressed his support for the ouster of Mohamed Morsy as president of Egypt by the Egyptian military. “We have been celebrating since yesterday evening. We did not sleep. 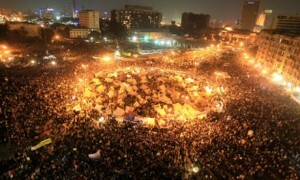 The people of Egypt have peacefully regained their country. 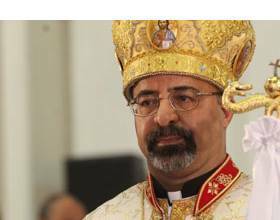 And therefore showed the world that they are civilized people, in spite of the great problems they face,” Patriarch Sidrak told Fides News Agency. The end of Morsy’s presidency followed after weeks of public protests against a perceived government monopolization by the Muslim Brotherhood, the former president’s political party. The Egyptian military deposed Morsy and set about establishing an interim government with the assistance of opposition parties and religious leaders in an effort to stabilize the country which has suffered weeks of turmoil in the wake of violent protests. Adly Mansour, head of the Egypt’s Supreme Constitutional Court, was appointed interim president until elections are scheduled. “Several signals show that we are on the right track. We will not repeat the mistakes made in the past. This time, they have well prepared the next steps, today the new interim President Adly Mansour swears in, and gradually steps will be taken towards the full restoration of democratic order”. This article by Fred Reed entitled “Riots” is a sad but all to accurate read. 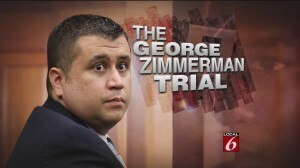 Watching the Zimmerman trial, I wonder whether we may not be in for big trouble. Racial hostility is much higher in the United States than it is allowed to appear. In the Twittersphere there is much traffic from blacks, saying that if Zimmerman walks, they will kill him themselves, riot, or kill random whites. On many sites around the web, whites of a sort not found on NPR are saying, “Bring it on.” This is not your granny’s recipe for domestic tranquility. Let’s not kid ourselves. Race underlies almost everything in this country that spends half its time denouncing racism. This is true of trials, and particularly true of show trials. 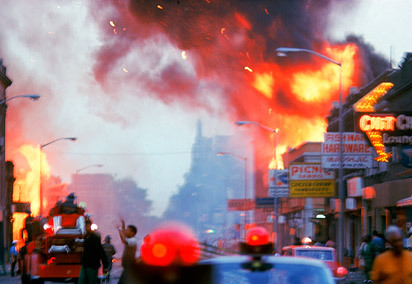 When the police who beat Rodney King, were acquitted by a white jury, the cops being clearly guilty, blacks burned Los Angeles. When OJ Simpson, clearly guilty, was acquitted by a black jury, whites didn’t burn anything, but were angry and perfectly aware that the verdict was political. The prosecution’s case against Zimmerman is so weak that unless the fix is in, he will walk. Katie, bar the door. How did we get here? It’s a long story.